It has been shown that the lack of secure property rights has increased the likelihood that a woman will contract HIV from experiences of sexual violence. Evidence suggests that secure property rights and ownership can help mitigate the consequences of HIV and violence. This is because when a woman has the right to property she is more able to leave a violent home situation. Property ownership also leads to a better situation for women because it allows them more economic advantages. Therefore, different forms of empowerment can protect women against the risk of domestic violence. Research by the International Center for Research on Women has shown that ownership of property by women is one of the critical factors that help reduce the rick of violence (Bhatla et al. 2006). In many developing countries women often face legal, cultural and religious discrimination that limits or restricts their ability to own or inherit property. These discriminations warrant more attention. In sub-Saharan Africa there have been new efforts by many governments throughout the region to reform their land-tenure systems and introduce different land policies. Even though there has been a high amount of urbanization in these areas, land still remains an important indicator of socio-economic status and wealth. Land is still an important indicator of this because it is a productive asset but also because of cultural reason and the value that is placed on property within the cultures of Africa. Land is an important asset that governs the economic well being of many women across the developing world. Urbanization may be one of the reasons the lack of property rights for women is becoming a more recognized issue. This area is a significant one to pursue because of its implications on food security and reduction of poverty. 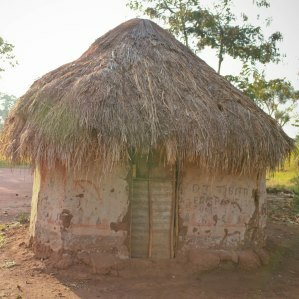 In dealing with land rights in Uganda the boy (even if a child) traditionally inherits the land in the case that his father died. When a husband dies the wife is only allowed to have a very small percentage of it and is forced to return to her father’s family or to remarry. These patriarchal land laws existed in part before colonial times but were exacerbated during colonial rule. Uganda has made some steps forward in generating better rights for women and recognize that social rights, especially land laws are extremely important to increasing the value of life to many women and children. Despite the progress that the government in Uganda has made, these rights are still being oppressed. This is partially because of the existing systems of customary land laws and some people not wanting to change the way things currently are. There have also been movements in Uganda to increase female representation in government. With the result shown above, there is support that increasing the representation of women would lead to better social rights for women. It can be seen that women’s lack of access to productive land areas has led to increased poverty among the group. Uganda relies heavily on agricultural production and women that are in the core labor group, they have been making efforts to increase rights. Even with these efforts the government has failed to follow policies that would stop violence against women, give women equal protection under the law, ensure women’s rights to attain the highest standard of health, and protect women’s rights to their own self-sufficiency. Chanock, Martin. 1991. “A Peculiar Sharpness: An Essay on Property in the History of Customary Law in Colonial Africa.” The Journal of African History, 31(1), pp.65-88. Frechette, Guilaume, Francois Maniquet and Massimo Morelle. 2008. “Incumbents’ Interests and Gender Quotas.” American Journal of Political Science, 52(4), pp 897-909. Griffiths, Anne. 2002. “Women’s Worlds, Siblings in Dispute over Inheritance: A View from Botswana.” Africa Today, 49(1), pp.61-82. Hodgson, Dorothy. 2002. “Women’s Rights as Human Rights: Women in Law and Development in Africa.” Africa Today, 49(2), pp3-26. Khadigala, Lynn. 2002. “Negotiating Law and Custom: Judicial Doctrine and Women’s Property Rights in Uganda.” Journal of African Law, 46(1), pp1-13. Rose, Laurel. 2002. “Women’s Strategies for Customary Land Access in Swaziland and Malawi: A Comparative Study.” Africa Today, 49(2), pp.123-149. Stangl, Anne, Laura Brady. “Protecting the Land and Inheritance Rights of HIV-Affected Women in Kenya and Uganda: Compendium of Current Programmatic and Monitoring and Evaluation Approaches.” Publication of USAID, MEASURE Evaluation Profiles on 11 organizations serving HIV-Affected Women in Africa, including IJM’s property grabbing project in Uganda.